With Nike Air on the back. 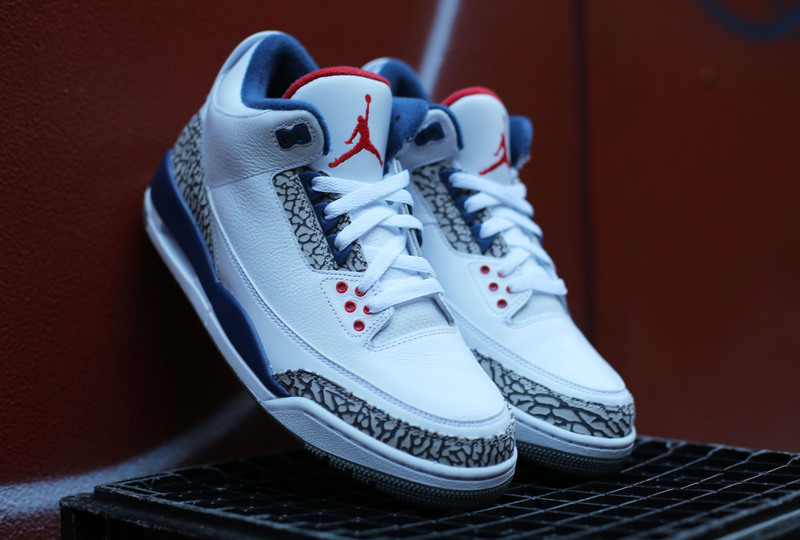 "Nike Air" has returned to the heels of the "True Blue" Air Jordan 3, but that's not the only OG detail making a comeback. The tongue's lining has also gotten an OG makeover. We've become so accustomed to seeing the lining of the tongue in blue throughout the many retro releases that it was easy to forget that the original had a red liner. And true to the "Remastered" promise to return Retros to their original state, the upcoming 2016 release not only has "Nike Air" on its heels, but also the red lining. 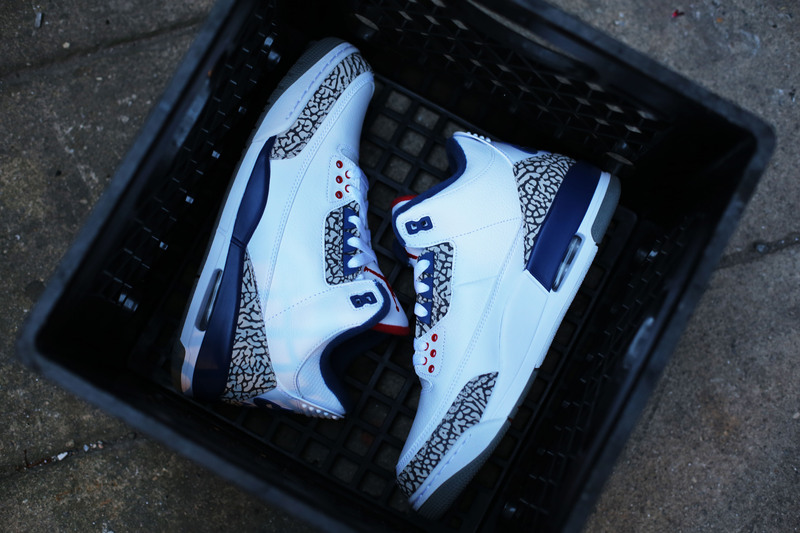 The "True Blue" Air Jordan 3 will be back in stores on Black Friday, Nov. 25. 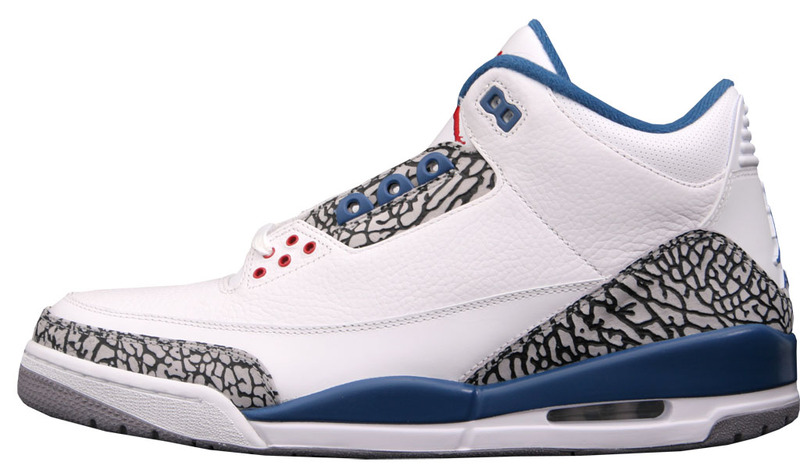 Check out the previous retro release below to compare to the upcoming launch. 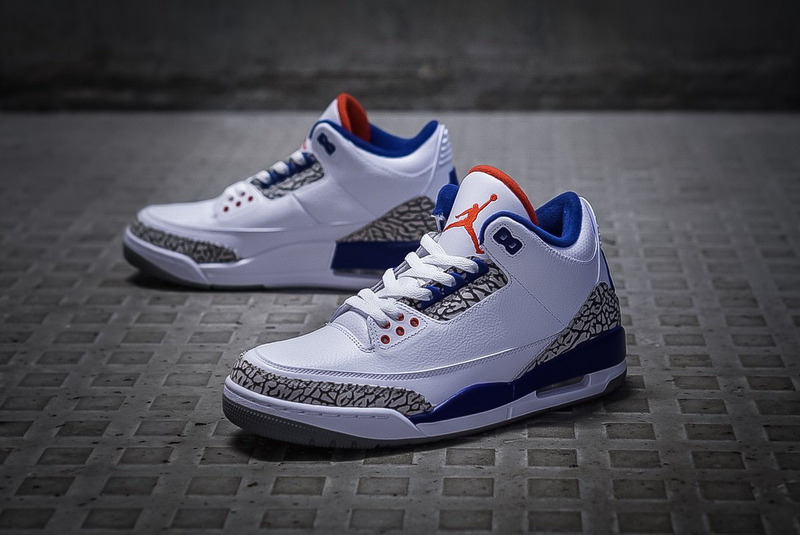 UPDATE 11/11: More detailed imagery on Black Friday's "True Blue" Air Jordan 3s with the Nike Air on the back.